When you have a young family to support, keeping a firm grip of your finances can seem far more important than the days when you only had yourself to look after. Adjusting to the changes that come hand-in-hand with raising a family can be challenging and daunting, and often require you to carefully analyse your spending habits in order to accommodate the needs of an extra person. And it’s not just any person, it’s a person that relies on you to keep them alive, feed them, clothe them and nurture them. From nappies, food and clothes, through to baby transportation and childcare fees, bringing an extra life into the world is a costly business! A worthwhile cost of course. Starting a family can be one of the most life changing experiences of your life, in more ways than one. You certainly don’t not want such a memorable and poignant moment to be tainted by money worries. Although sometimes it’s difficult to plan when you are going to start a family, being on top of your money can make the whole process far more enjoyable and stress free. There is lots you can do in terms of saving and budgeting for a family prior to your baby entering the world. You’ll be amazed at how making small changes can change your financial situation in as little as a few months. 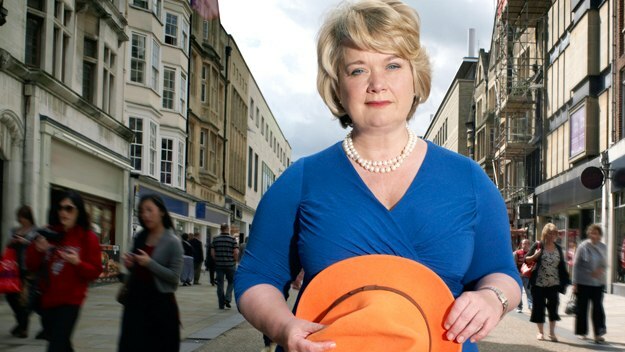 Mrs Moneypenny – star of Channel 4’s Superscrimpers, provides lots of helpful tips and advice when it comes to helping you to identify ways of changing your spending habits – freeing up cash to accommodate important milestones in your life. If you’d like to find out more, click here to view the video from Mrs Moneypenny. First and foremost, if you are planning on starting a family, it’s important that you and your partner are fully aware of your financial situation. Have you got any debts that you have not made each other aware of? How do lenders view your financial history? This is vital, as when it comes to making large purchases that require credit, or even applying for a mortgage, your credit report should be free of errors and in the best shape possible in order to get access to the best deals. But don’t worry, if your credit report is not what you expected it to be, there are plenty of things that you can do to improve your credit score, helping lenders to view your report in a favourable light. It’s vital that you and your partner are open and honest about your finances, and that there are no nasty surprises when it comes to buying your first home or family car. The best way to save money is to assess areas in which you could be making savings each month. Mrs Moneypenny’s money management encourages those looking to change their spending habits to write everything down that they spend, down to the last penny. This way, it makes it possible to identify changes that you can make in your day-to-day routines to help you to make long-term savings that will most definitely come in useful when you have an extra mouth to feed. This method is also a proven way to shock people into changing their spending habits. Most of the time, it’s a case that we do not realise how much of an impact small everyday purchases have on our bank accounts. For example, the newspaper and coffee that you grab on the way to work, that costs you £2.40 a day. On the surface that doesn’t seem a lot at all but over a year that amounts to £570! Instead, could you not drink your coffee before you leave the house and catch up with the news online? It’s all about swapping and saving. When you are first holding your newborn baby in your arms, it’s hard to ever imagine that they will eventually grow up into young adults. Some of life’s most memorable and important milestones such as watching them fly the nest (it’s most likely that they will be back), watching them go to university, and even attending their wedding day, all seem a lifetime away. But they will soon come around. With this in mind, many new parents invest in a saving account for their children from the moment they are born. Mrs Moneypenny has even noted that it might be worthwhile starting a pension for them. There’s a government scheme at the moment that will add money to your children’s pension account if you do.